The Birmingham South Local Community Safety website provides an on-line, easily accessible forum and sign-posting service for residents and agencies living and working in south Birmingham. To provide a vehicle through which local stakeholders can work together as partners to improve the community safety of citizens in south Birmingham. What are its purpose and outcomes – for citizens and partners? Every adult, child and young person feels safe in their home, community and place of work, as well as when travelling between them. No adult, child or young person is at greater risk than any other of being a victim of crime, anti-social behaviour, fire or a road traffic accident. No adult, child or young person is at greater risk than any other of becoming a perpetrator of crime or anti-social behaviour. Who are the LCSP’s stakeholders and partners? The partnership’s membership is not exclusive and anybody or organisation who can contribute to its aims is welcome to contribute to it. 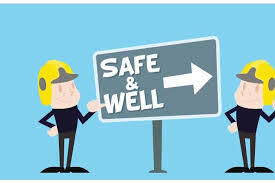 Development and ownership of a community safety priorities, strategy and plan for Birmingham South – which both provides the framework for commissioning local activity and connects to strategies concerning employment and skills, education, health and wellbeing, as well as housing. Birmingham Community Safety Partnership is a joint and statutory partnership for Birmingham involving Birmingham City Council, West Midlands Police, West Midlands Fire Service, National Probation Service, NHS and the Voluntary & Community Sectors. These organisations work together to tackle crime and disorder that affects our communities in the city. All of these agencies have a duty to come together and work to prevent crime and disorder. Click here to be taken to the Birmingham Community Safety Partnership website. Click on the map to see what area is included within “Birmingham South”.